Numbering close to 40 million and representing 31.5% of the female population in the U.S., millennial women — 44% of whom are of color — are living in a world with rules and cultural practices that were built to meet the needs of white men. Predominant norms and policies still do not account for the impact of this diversity, the remarkable increase in millennial women serving as the primary or co-breadwinner for their families, or the rise in educational attainment by millennial women. As a result, despite important gains in higher education rates and career opportunities, millennial women’s wealth lags behind. The median wealth holdings of single millennial men is still 162% greater than single millennial women ($11,230 and $6,914 respectively). Broken down further across race and ethnicity, we see that single white millennial men have close to six times more wealth than single millennial Black women ($15,377 and $2,683 respectively). These women have come of age during the Great Recession, the push for mass incarceration, unprecedented student debt levels, and workforce dynamics that remain mired in male privilege and sexism. Clipped Wings highlights one study showing that women were offered a lower salary than men for the same position at the same company 63% of the time. The same study also found that Black and Latinx women are consistently offered lower salaries than white men. This may explain why even in higher paying STEM careers, millennial men still have 3.5 times the wealth of millennial women. While increased income alone will not solve wealth disparity, we must push for pay equity between men and women to move the needle. The pressures young women are under aren’t limited only to the size of their paychecks. Millennial women are also facing new family dynamics. They are more likely to be the head of households than previous generations, and are flexing their independence by having children outside of marriage. 57% of babies born to millennials in 2017 were outside of marriage. New research also indicates that millennials make up 25% of caregivers in the U.S overall, 75% of whom are helping someone over the age of 50. Facing increased demands at work and at home, this generation of women needs comprehensive and robust paid family leave to take care of both their children and older family members without losing out on opportunities to advance their own careers. The racist push for mass incarceration and the heavy burden of criminal justice fines and fees have also adversely affected millennial women. They are 10 times more likely to be incarcerated than previous generations. This is particularly an issue for millennial women of color. Due to over policing and surveillance in communities of color, the rate of incarceration for Black women is almost double that of white women, and the rate for Latinx women is more than 20% higher than white women. While it is well documented that incarceration greatly impacts a person’s economic prosperity, Clipped Wings goes further to show how an arrest also affects the economic security of millennial women of color. Black women with an arrest have 33% of the wealth of white women with an arrest, and Latinx women with an arrest have 84% of the wealth in of white women with an arrest. Even if women are not the ones being arrested, they are primarily the ones paying the fine, fee or bail money for their sons, brothers, partners, or other family members. As noted in the Ella Baker Center’s Who Pays report, 63% of court-related costs were paid by family members outside the criminal justice system, and 80% of those covering the costs were women. Criminal justice reforms such as ending cash bail, eliminating regressive fines and fees, and divesting from the prison industrial complex are not often tied to conversations around wealth inequality. However, they are key to ensuring a better future for millennial women. All these factors create a unique economic situation for the millennial generation that calls for not only responsive policymaking but deep-seated systemic change. These are not just “women’s issues” but societal ones that affect us all. With more women leading both at home and in the workplace, women’s economic security is inextricably linked to the wellbeing of families, communities, and society at large. The growing economic insecurity of this generation of women is neither inevitable nor irreversible. The future is indeed female, and it’s past time to have more women — particularly those of color — at decision-making tables to bring in our unique perspectives and ensure our needs are finally recognized and met. 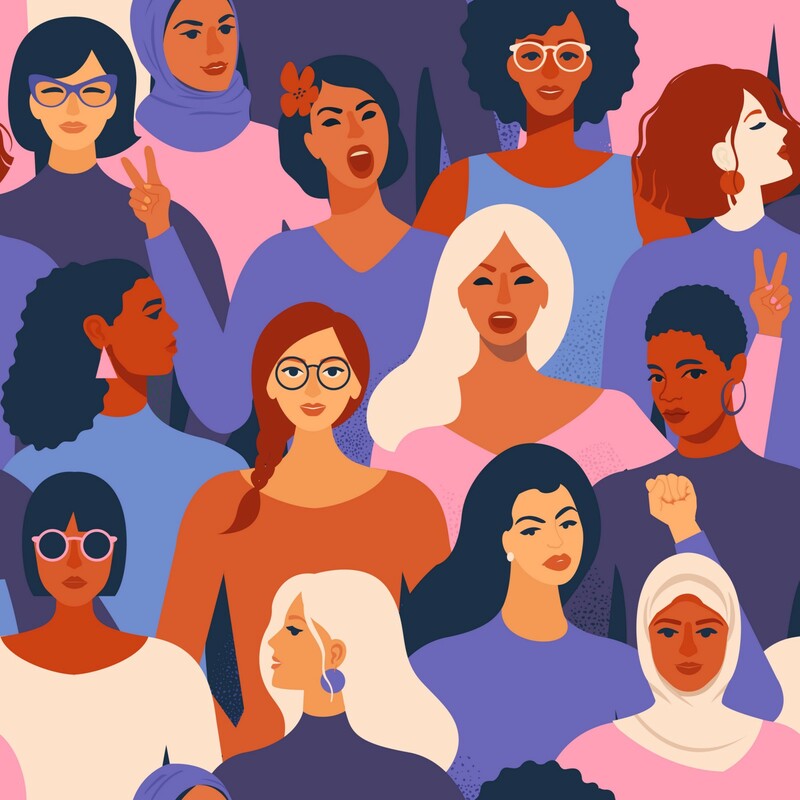 Putting women at the center of future policy decisions is the path forward to positively impact the economic security of millennials and generations to come. When we ground and design policies like a guaranteed income to intentionally lift up women of color, we will lift up everyone. The Insight Center for Community Economic Development’s mission is to help people and communities become, and remain, economically secure.